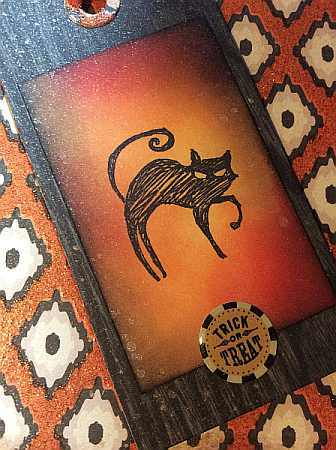 This entry was posted on Saturday, October 11th, 2014 at 9:24 pm	and tagged with cardmaking, die cuts, distress techniques, inkadinkado, my mind's eye, stamping and posted in Friday Mashup, Halloween, Tags. You can follow any responses to this entry through the RSS 2.0 feed. Oh, I love the sparkly essence on your tag…spook-tac-ular for the bling! You did a great job with the distressing of the main panel of the tag- it looks like it is eerily glowing. TFS with the Friday Mashup this week! This is an awesome tag card! 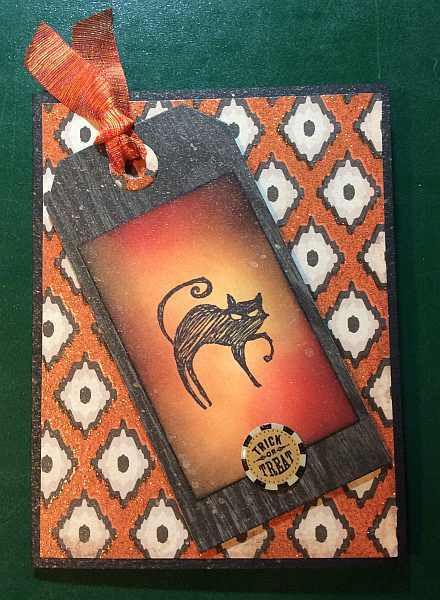 Love the distressing you did on the tag and the spritzing too…so cool! Thanks for playing with us at the Friday Mashup. Terrific tag! I love the background you created!